Mission: 3D without special glasses. Triaxes develops technologies, software and systems allowing to see 3D images without special glasses. We also supply equipment and provide 3D broadcasting and video processing services. Products and services from Triaxes are based on our own developments, which guarantees a comprehensive approach to problem solving, including software customization, photo/video content preparation and equipment selection. Triaxes is a resident of the Special Economic Zone in Tomsk (Siberia) and participant of the Tomsk IT cluster. 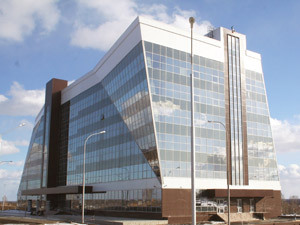 The company has its offices in Tomsk Akademgorodok (Engineering Building of the Special Economic Zone) and Kaliningrad. Triaxes has distributors and partners all over the world: in Russia, Europe, Asia, the USA, etc. Clients from over 70 countries use Triaxes software. Triaxes is a regular participant of various exhibitions held all over the world, among them: NAT-Expo, IBC, NAB, CES, etc. Triaxes products are awarded with diplomas and medals at different exhibitions, but the best award for us is our clients’ and partners’ positive feedbacks. Immanuel Kant Baltic Federal University – teaching students, joint projects. 2001 – Triaxes started developing 3D photo software. 2004 – Triaxes was officially founded and started selling 3D photo software. 2008 – Triaxes began to develop 3D video software. 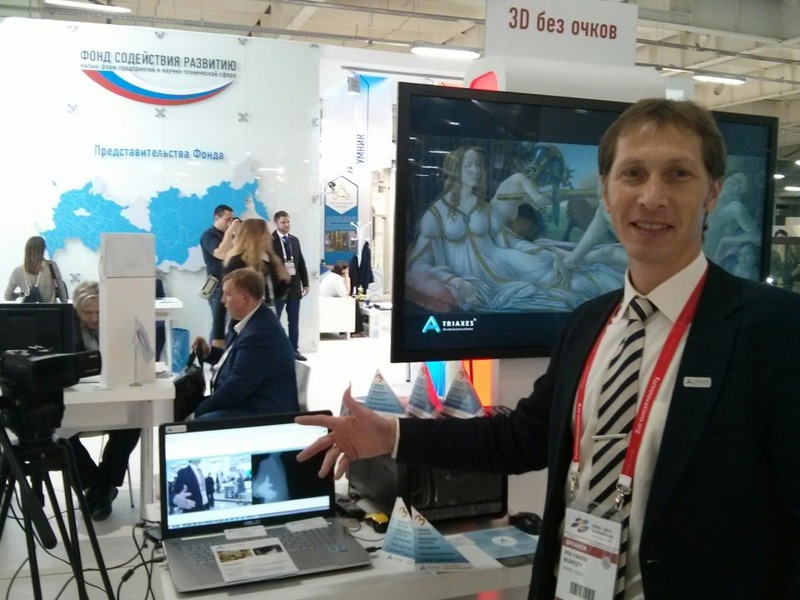 2009 – first 3D video broadcasting with the help of Triaxes technologies at the exhibition in Kazan. 2011 – Triaxes technologies are used for the first universal DVB-T 3D broadcasting at the Sviaz-Expocomm exhibition (Moscow). 2012 – first glasses-free 3D videoconference (Tomsk-London). 2013 – video editing and 3D conversion studio was created. 3D broadcasting at the Russia Arms Expo (Nizhny Tagil). 2014 – 3D broadcasting in real time on new-generation 4K displays at NAB (Las Vegas), Open Innovations (Moscow), New office in Kaliningrad was opened. Traixes took part in the Futur-en-Siene (Paris). New functionality of Triaxes StereoTracer was demonstarted. Triaxes took part in the V 3D-stereo Film festival (Moscow). 2015– Visual Technologies Lab was created in Immanuel Kant Baltic Federal University (Kaliningrad). Exhibition of Guillaume d’Hubert’s 3D photographs was held in Kaliningrad. Triaxes team created and held a 3D show for the Opening Ceremony of the new MICRAN’s factory (Tomsk). Triaxes took part in the VII Intrenational research and practice conference “3D image preparation and demonstration in cinematography and other spheres” (Moscow). Triaxes presented a report and demonstrated new technologies of the spherical (360) autostereoscopic 3D at the conference “Modern television technologies. Current state and directions for the development” (Moscow). Triaxes prepared content and supplied equipment for the exhibition “National heroes” (Moscow). 2016 – Release of the new 3D Event Live VUE software. Getting the project “Holographic TV format development” started. Triaxes took part in the VIII Intrenational research and practice conference “3D image preparation and demonstration in cinematography and other spheres” (Moscow). Release of the virtual 3D tour around the Museum of the World ocean (Kaliningrad) for smartphones. Alexey Polyakov – Ph.D, the founder and CEO of the Triaxes company. Education: Tomsk State University of Control Systems and Radioelectronics. Specialty: Electronic Systems, thesis on mathematic modeling. Alexey Polyakov is the author of 4 books on programming published in Russia and the USA, head of the codec development department at Elecard (2001-2008), author of articles on 3D photo and television, author of software, hardware and 3D TV format patents. Triaxes® is a registered trade mark.